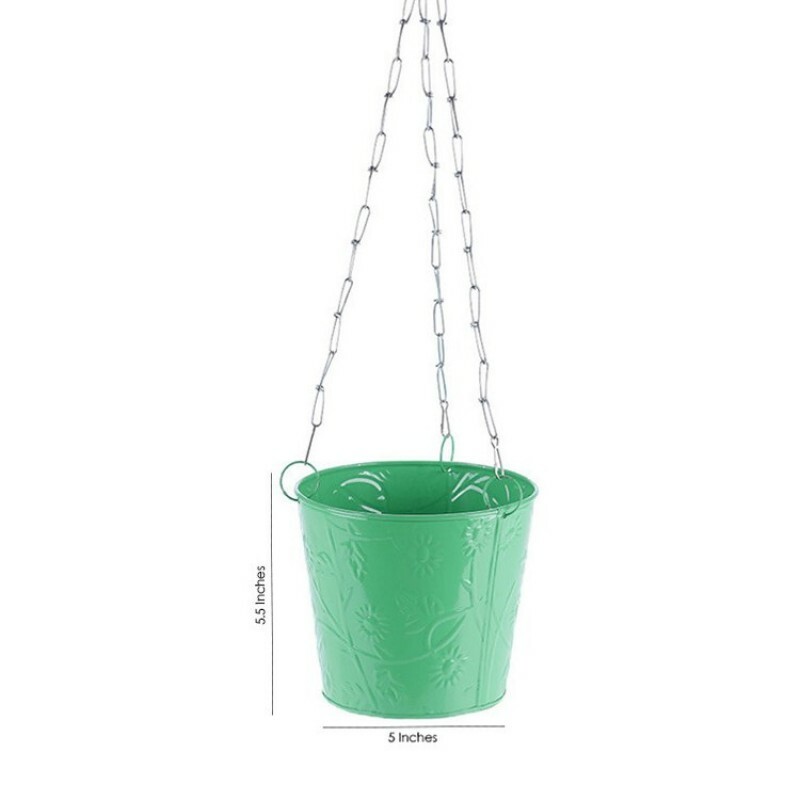 Planter size is 5''x5.5'' Height. Useful for hanging garden balcony, railings. 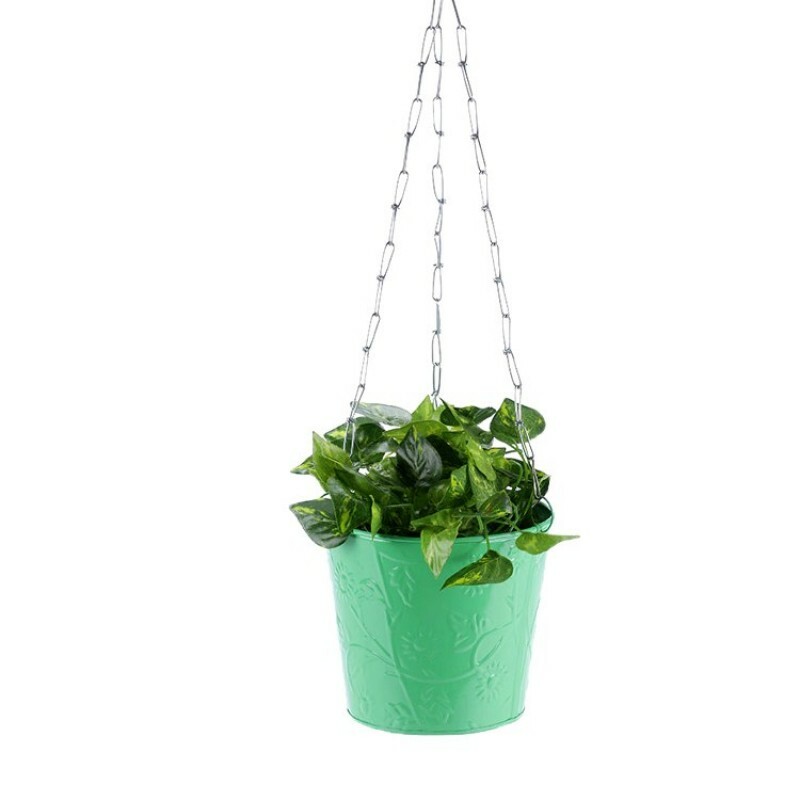 Beautiful colors with hanging pattern, Light weight planter.